The Macau government has announced a series of measures to cope with an expected increase in visitor arrivals during the May 1 holiday period. Mainland China is the main source of gamblers for Macau’s casino industry. People from Hong Kong – Macau’s second main source of visitors and gamblers – will also enjoy an extended break during the Labour Day holiday period. 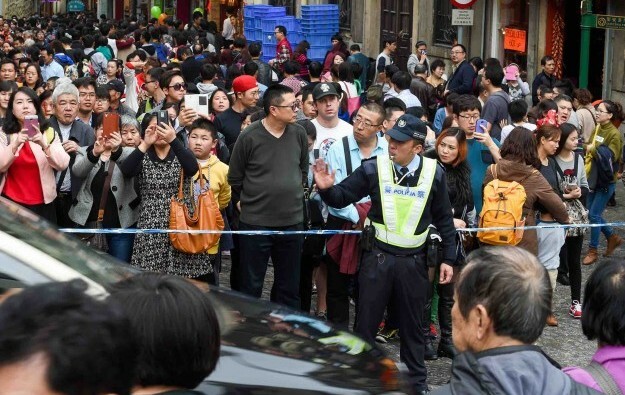 The Macao Government Tourism Office said on Thursday the government was prepared to introduce crowd management measures whenever needed. The bureau added it would station staff in various tourist spots around the city to offer tourism information and guidance for visitors and assist in crowd management. The chief executive of Macau-based casino operator SJM Holdings Ltd, Ambrose So Shu Fai, said on Friday – according to media reports – he expected the city’s overall gaming industry to post a positive performance during the Labour Day break, particularly the VIP segment. Most of the hotels in casino properties in Macau are likely to be sold out or close to full during the coming Labour Day holiday, two local travel industry associations separately told GGRAsia last week. The aggregate number of visitors to the city is also expected to rise year-on-year, according to our informal poll of the industry. Macau recorded a total of 529,000 visitor arrivals during the Labour Day holiday period (between April 30 and May 2) in 2016, show official data from the local police. The figure was down by 1.23 percent compared to the same period in 2015. Visitor arrivals to Macau during the Labour Day period in 2016 were negatively affected by problems with the computer-controlled automated clearance system at Macau’s border checkpoints. At some border checkpoints, the glitch led to delays of several hours for travellers, according to local media reports at the time. Visitor arrivals to Macau in the first quarter of 2017 totalled 7.87 million, up by 5.6 percent year-on-year, show data from the city’s Statistics and Census Service. Tourists from mainland China accounted for 5.32 million of the overall visitor arrivals, an increase of 7.6 percent compared to the prior-year period.